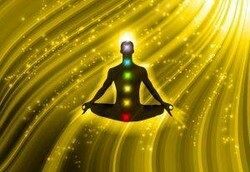 Guided healing meditation is a meditation technique where the practitioner is guided through the session for an overall holistic healing. Guided healing meditation is a meditation practice in which the practitioner is guided through the session for an overall holistic healing. It can take place in a classroom setting or alone using a personal instructor, CD, or DVD. A guided meditation is a wonderful choice for beginners. It helps get you used to the posture and experience of meditation before you attempt anything more complex that needs more of your attention and focus while meditating. Whether you choose a Buddhist meditation or a Zen meditation or anything in between, you can find a guided meditation that will help you. The right posture for medtiation may differ from one method to another. However, most meditations can be done sitting on a cushion or mat on the floor. If you are not able or do not want to sit on the floor, a stool or chair will be sufficient. Keeping your spine straight will aid in ease of breathing which is very important in any type of meditation. When choosing a meditation posture, also make sure that you are in a position that you can maintain it comfortably for as long as your session will last. It is very difficult to meditate if you are in pain. As for you mudras or hand gestures, those will depend on the meditation technique. Your instructor, whether live or recorded, will guide you through that as well as the actual meditation. To do the guided healing meditation exercise, you will need comfortable clothing, nothing that is tight or binding. In a classroom, your instructor or guru will tell you what else you may need. 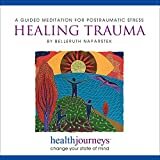 If you choose to try the guided meditation for healing on your own at home, you will need a DVD or CD and player or internet access and possibly earphones for privacy. You will also need to check out your particular meditation method to see if there is anything else that might be required. It may help if you listened to your healing guided meditation all the way through once before actually doing the practice. This will help you to know what to expect and have time to clear up anything that you may not understand before starting. The following is an example of the direction a guided meditation might take. You may even record the following script and use it for your own meditation session. This particular exercise is a healing meditation, which can facilitate healing and overall well-being in your body, mind and soul. Settle into your posture, making sure that you are comfortable and your spine is straight. Gently close your eyes and breathe softly and naturally. Become aware only of your breath. As thoughts come in to distract you, gently push them aside. Visualize yourself sitting on a large rock in the middle of a gently flowing stream. Feel the sun warming your skin. Hear the soothing rush as the stream flows around you. Continue to breathe, inhaling and exhaling through your nostrils. Feel the tension in your body release. Beginning at the top of your head, move this healing release slowly down your body until all tension has left. Since the tension flowing away from you in the stream. With your body relaxed, visualize an orb of dazzling light, see the orb move around your body, focusing on any part of your physical body that needs healing. Allow the orb to hover in and around you. Feel the revitalizing energy vibrating through your body. Continue to breathe, focusing on the energy. Remain here for a few minutes, then allow the orb to move away. Know that you can come back to this healing stream at any time. Slowly bring your awareness back into the room. Sense your surroundings. Gently flex your muscles. Feel how relaxed and whole you are now. Your physical health is a direct reflection of your mental health as well as your spiritual well-being. If you are over-stressed, depress, anxious and overall 'down', it will eventually show in your physical body as various symptoms of pain or ill health. By using guided healing meditation, you will help both your body and your mind (along with your soul) to become whole and healed. I want to start to meditate but I have no idea where to learn it. This question comes up often with people new to meditation. So what do you do to start? When you meditate, you can practice it entirely on your own in peaceful quiet or using a guided meditation which will guide you through the meditative steps. 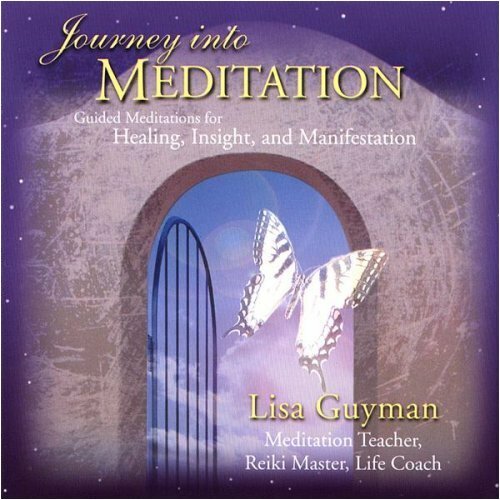 Are You Practicing Guided Healing Meditation?